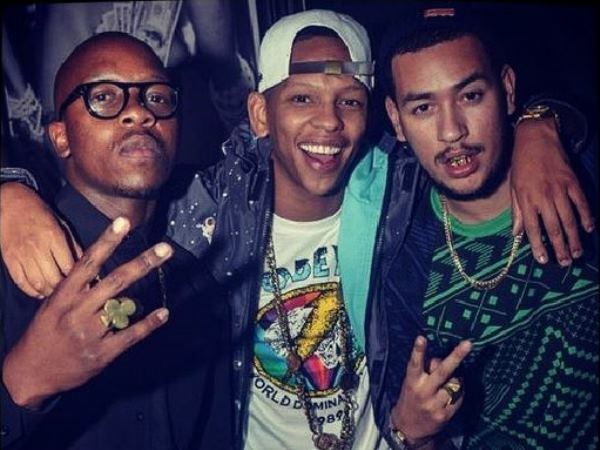 AKA fires his DJ bestie – for working with Cassper? AKA has fired his best friend and DJ, DJ Fanatic. AKA has fired his DJ! The rumour mill has gone into overdrive in the wake of the weekend drama, with fans speculating DJ was fired for playing Cassper Nyovest's Phumakim. After a series of sad tweets, AKA revealed that he will be looking for a new DJ this week. AKA refuses to explain his reasons for firing Fanatic. "Fortunately, none of you deserve an explanation," he said mysteriously. "All you need to know is that I need a new DJ." "I'm not going to go into details," he added. "I'm just gonna say that I wish my brother good luck and that I'll always have his back no matter what." Some cryptic tweets show however that the two had a difference of opinion. Fanatic has yet to comment. He just released a new track featuring AKA's good friend and fellow artist DA Les.